William W. Bolitho, a longtime resident of Glenwood Springs and New Castle, passed away on April 20, 2018, at the age of 84. Bill was born in Glenwood Springs, CO, on September 28, 1933, to Wilbur “Skip” and Esther Bolitho. Upon graduating from high school, he attended Colorado State College of Education in Greeley, CO, (now the University of Northern Colorado) and graduated with a degree in education in 1955. That same year, Bill accepted a teaching job at Hay Springs High School in Nebraska. He also coached football, basketball, and track while he was there. The next year he joined the United States Army and served two years at Fort Cronkhite in San Francisco, CA. After leaving the army Bill took a job with Coors Brewing Company in Golden, CO, and it was during this time that he married the love of his life, Jere Leigh Bell, in Glenwood Springs, CO, on June 12, 1959. In June of 1961, he went to work for Pat Bell Insurance Agency in Glenwood Springs and later became co/owner and renamed it Glenwood Insurance Agency before retiring in 1990. Bill was very active in his community, serving on the Board of Directors for the Hot Springs Lodge and Pool, Colorado National Bank of Glenwood, Glenwood Springs Chamber of Commerce, Frontier Historical Society, Oldtimers Baseball Association and the Glenwood Springs Golf Club. He was also a member of the local Lions Club, the Custer Battlefield Historical and Museum Association, and the Sigma Phi Epsilon Fraternity. He was a longtime member of the First Presbyterian Church, an Honored Alum at Glenwood Springs High School and the Chamber of Commerce Citizen of the Year in 1995. 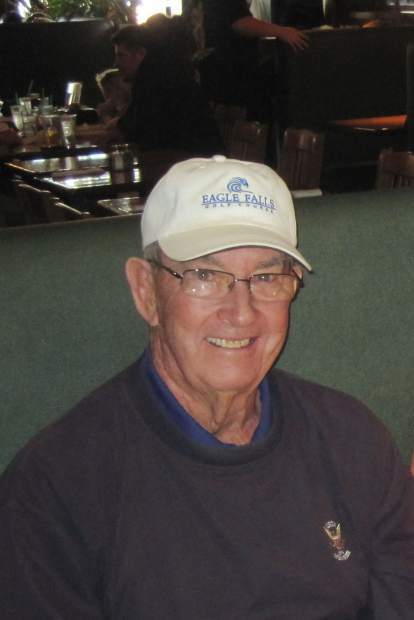 Bill was an avid golfer and historian and enjoyed many activities with his family and friends. Most importantly, he enjoyed watching his grandkids participate in all their educational and athletic activities. Bill is survived by his wife of 58 years, Jere (Bell) Bolitho, brother Dennis (Nancy Kerr), three sons, Scott (Carolee Harris), Norm (Deb Shaw), Jeff (Kathleen Bade). He leaves behind 14 beloved grandchildren, Mike (Jackie), Ryan (Stacia), Riley, Maddie, Jackson, Campbell, Eli, Whitney, Corey, Mary, Jon, Isaiah, Jada, and Kiana and six great-grandchildren. He was preceded in death by his parents. In lieu of flowers the family suggests memorial gifts to the Bolitho/Stubler Memorial Scholarship fund, contributions can be made at the US Bank in Glenwood Springs or the First Presbyterian Church in Glenwood Springs. A celebration of life gathering will be held on Monday, June 4, 2018, at two o’clock at Mountain View Church, 2195 County Rd 154, Glenwood Springs, CO.